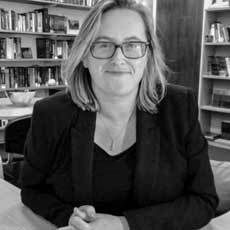 Fiona de Londras and Mairead Enright – authors of ‘Repealing the 8th: Reforming Irish abortion law‘ – respond to the announcement of the Irish Cabinet of its intention to hold a referendum to repeal Article 40.3.3 in May 2018. The book, now publishing on Thursday this week, looks beyond the referendum to what might come next, presenting detailed proposals for new legislation. Chapter 4 from the book – Accessing abortion care: principles for legislative design – is now available to download free on our website. At first glance, the 8th Amendment may seem innocuous or merely aspirational. However, over time, this provision has led to a near-absolute prohibition on abortion in Irish law and serious infringement of pregnant people’s rights. Under the current law, abortion is only lawfully available in Ireland when a woman will almost certainly die without it, and even then multiple doctors usually have to agree that this is the case. Now, though, there are signs of change. More than three decades of activism have come together in a large, vocal, visible and highly effective campaign for political and legal reform; for the removal of the 8th Amendment and introduction of a law that will enable women to exercise agency in pregnancy and ensure that, for those who want to avail of it, abortion care is available at home in Ireland. On Monday, the Irish Cabinet announced its intention to hold a referendum to repeal Article 40.3.3 in May 2018. The People will be asked to delete this Article and to insert a provision that expressly says that provision may be made by law for the termination of pregnancy. The Taoiseach said that the referendum will present the People with a choice to enable the Irish parliament to legislate for abortion care at home, or to continue to export abortion to other jurisdictions and to put the lives of women in Ireland at risk. The Cabinet will publish indicative legislation for a GP-led abortion service ‘on request’ up to 12 weeks, and more limited access to abortion in later pregnancy. In the book we look beyond the referendum, to what might come next once the 8th Amendment no longer absolves the Oireachtas of the responsibility to make law to provide for the needs of women in Ireland. We include detailed proposals for how new legislation on abortion might be designed, including draft legislation that gives effect to the proposals that appear to have received Cabinet support this week in a way that respects the rights of pregnant people in Ireland. In doing this, we argue that repeal of the 8th Amendment would create opportunities for the progressive interpretation of the Constitution, so that the rights of pregnant people—for so long narrowed down to a bare right to life said to be equal in stature to that of an unborn foetus—can be developed in ways that truly respect and protect bodily integrity, privacy, and the right to be free from inhuman and degrading treatment. This, we argue, would compel the Irish state to provide for lawful abortion, but would allow it to pursue the socially valuable objective of preserving foetal life provided in doing so it respects the constitutional rights of pregnant people. This can be done by introducing law that makes abortion available without restriction as to reason up to at least the twelfth week. 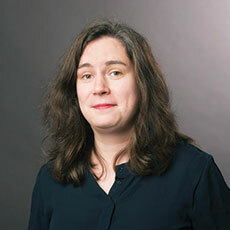 After that such a law might make lawful abortion available on broadly drawn health grounds so that pregnant people can truly determine the course of their own reproductive lives, and so that victims of sexual violence or those who have received unexpected foetal diagnoses will be able to be supported through a decision to an end a pregnancy, rather than forced through a punitive ‘qualification’ processes. This is what we are calling for now that the Referendum has been announced. Like the Citizens’ Assembly and Joint Oireachtas Committee on the 8th Amendment, we draw distinctions between the availability of abortion after 12 weeks and after 24 weeks, with later abortion (after 12 weeks) being truly exceptional in law, just as it is in life. Illustrating the feasibility of such an approach, we include in the book draft legislation that gives effect to this approach. This makes our book essential reading for anyone involved in the campaign. Our objective in writing this book was threefold. First, we wanted to make the constitutional arguments about the 8th Amendment clear and accessible and, in so doing, to show that from a legal perspective there is nothing unusually difficult about legislating for abortion and no reason why, uniquely among medical procedures, it should be regulated within the text of the Constitution. Second, we wanted to show how the Constitution itself could develop after repeal to reinvigorate the personal rights of pregnant people and to strike a balance between protecting these legal rights and pursuing the social objective of preserving foetal life through voluntary, consensual, and well-supported pregnancy. Finally, we wanted to show that, by drawing on experience in other countries and on international human rights law, and by committing to ensuring that pregnant people have sufficient certainty and support to make decisions about their own reproductive lives, a workable, reasonable, and rights-based law on access to abortion can be imagined and designed for Ireland. Now, with the announcement of the Referendum on the 36th Amendment to the Constitution, we are a step closer to achieving some of these goals, but there is still much work to do. Given this week’s developments, Policy Press has brought forward the publication of the book to 1 February: please circulate information about it to anyone who is involved in the debates around the referendum. 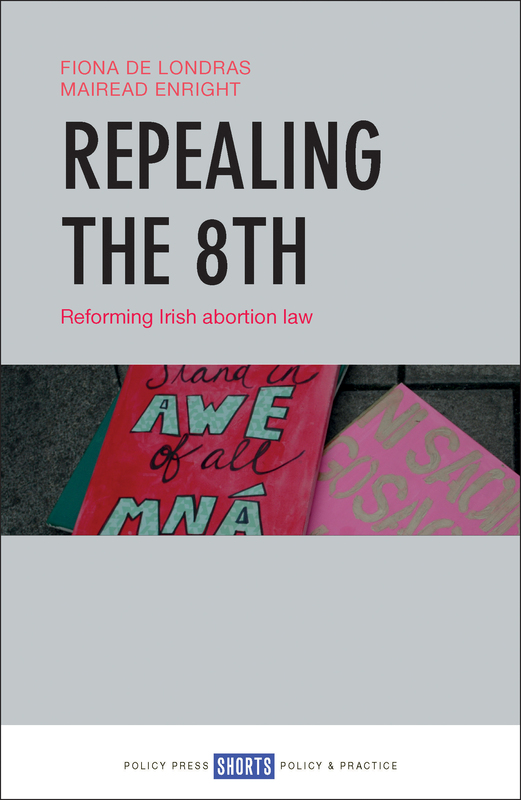 ‘Repealing the 8th: Reforming Irish abortion law‘ by Fiona de Londras and Mairead Enright is publishing on 1 February 2018 and is available with 20% discount on the Policy Press website. Pre-order here for just £10.39. It will be available Open Access under CC-BY licence.